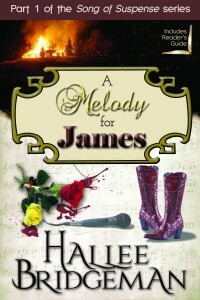 A Melody for James is Now 99 Cents! In preparation for the release of A Carol for Kent, Book 3 in the Song of Suspense Series, I’ve made the ebook of Book 1 in the Song of Suspense, A Melody for James just 99 cents! You get a RONE’ Award Finalist Book and The Book Club Network’s runner up for 2013 Fiction Book of the Year for less than a dollar! Wherever you can get it in ebook form, I’ve marked it down from $4.99 to $0.99. At the time of this blog post, A Melody for James has received 89 customer reviews on Amazon, and ALL of them are 4 and 5 stars – which gives it an average rating of 4.8 stars! Read the book! Tell your friends! Leave a review! And then look forward to the May 13th release of A Carol for Kent! 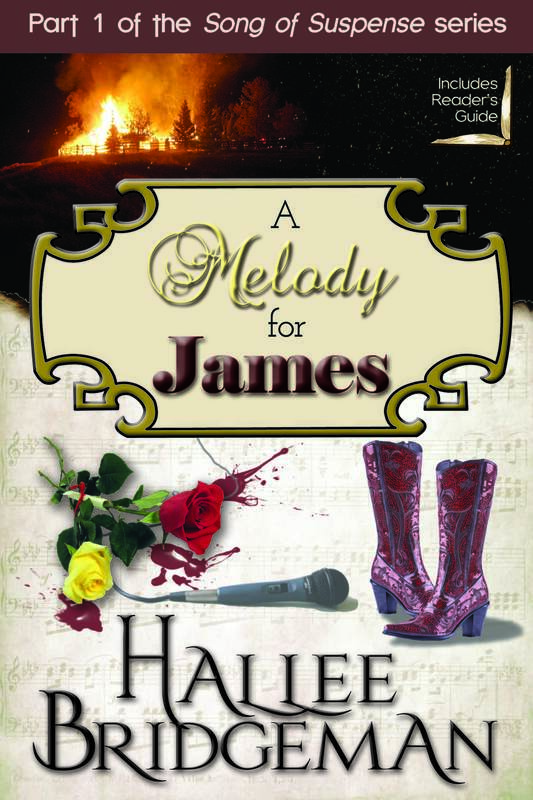 A Melody for James is the first book in a set of Christian contemporary romantic suspenseful thrillers from best selling inspirational novelist, Hallee Bridgeman. The exciting new SONG OF SUSPENSE series premiers everywhere fine books are sold June 15, 2013 with book 1, A Melody for James. A Melody for James was voted the Clash of the Titles WINNER in July 2013. 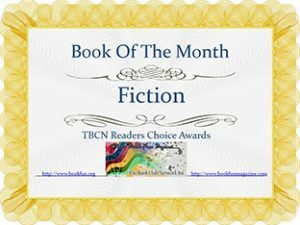 A Melody for James was voted The Book Club Network‘s August 2013 Fiction Book of the Month. 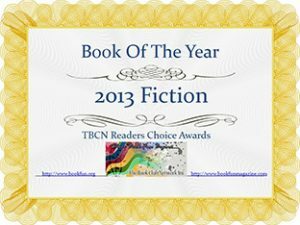 A Melody for James was the first runner up for the 2013 Fiction Book of the Year as announced in the February 2014 edition of Book Fun Magazine. A Melody for James is a RONE’ Award Finalist! If you’d like an autographed copy, please visit my store at Squareup.com! Strangers meet during an unexpected layover. Hours later, their hearts sing a harmonious duet. Melody Mason finds James Montgomery sincere, honest, and keenly intelligent with a tenderness that contradicts his broad stature. Melody lifts James from the depths of all- consuming grief for the first time since his wife’s murder. Uncannily, they learn that they share much in common. They begin to wonder whether God brought them together. Though determined to unite, sinister events take an ominous turn. The couple won’t even see each other for four long years. Melody rises to stardom as America’s newest Country Music sensation while James brings a billion dollar technological breakthrough within reach. The two finally reunite and find the connection between them has only grown stronger in tempo, joining them like notes in a symphony. But once more, a terrifying hidden truth secretly sneers at their hopes for happiness. After so long apart, the couple must work in close concert. They have to put all their faith in God as they solve the deadly mystery that ties their lives inexplicably together time and again. ANGELA MONTGOMERY nearly missed it. She had lost herself in memories of her recent birthday celebration marking the passing of her 30th year on earth. Her husband, James, her junior by 2 short years, had gone all out. Being “much” younger, he had decorated the entire house with black balloons and held a surprise “wake” for the passing of her late youth. Daydreaming and lost in feelings of love and adoration for her beloved groom, Angela nearly failed to recognize the moment when it happened. When her consciousness shifted from her reverie back to the present, for several breaths she simply stared at the smart board in front of her and ran through the calculations again. Then she tried to ignore the little shivers of nervous excitement that danced up her spine. Alvin Berry let out a loud, “Whoop!” He removed the ever present knit cap from the top of his head and tossed it into the air. The group collectively looked at each other and grinned. Years of work, and the breakthrough sat right there on that smart board, staring back at them. Despite her naturally conservative nature, Angela started to let the feeling of giddy excitement take over. She laughed and hugged Don as she pulled her cell phone from her pocket. Her husband would probably jump up and down or do a little dance of celebration. She felt like she might just as easily be making a call to announce that she was expecting their first child instead of the conclusion of this long project. For five years, she and this amazing team of engineers had worked to perfect this revolutionary data storage solution. For five years, usually working six days a week, usually not less than twelve hours a day, they’d toiled in this basement lab in her inherited home. While she’d hoped and prayed for all that time, now that the reality of what they’d accomplished actually shone back at her from that beautiful smart screen, she realized she hadn’t ever really been certain they’d succeed. Angela felt her heart skip when the red security light started flashing. Her eyebrows crowded together in confusion. Why was the intruder alarm going off now? Angela had inherited the farmhouse from her late uncle at the age of 17 and lived there throughout her lengthy matriculation at Georgia Tech. For a brief time when this venture was just beginning, she and her brand new husband, James, as well as their business partner and his best friend, Kurt, had all lived there under the same roof. During the initial months and years, Kurt and James had renovated the basement entirely; installing a T1, a two post rack of networking gear, a four post rack of high performance servers; and most importantly, a state of the art security system, designed and built by her brilliant husband himself. For the last five years, they had hardened the basement into a panic room with steel reinforced doors, magnetic locks, and pinhole security cameras. It took two-factor authentication to even get into the room. “Right. Execute a differential and encrypt it.” She waited a few heartbeats while Don’s fingers played out a staccato percussion on his laptop. Alvin pressed a series of keys on his computer and several small screens appeared on the smart board, all showing different angles of her home. Men in masks moved through the empty house with military precision, high powered and very deadly looking carbine rifles tucked tightly into their shoulders at the ready. They stared around every corner through the sights on the short rifles. Fear and panic tried to take over. Her stomach turned into ice and Angela felt like her breathing wasn’t productive, like she could never get a deep enough breath. Focus, she said to herself. You will have time to be scared when it’s over. “Can you remember how we got here since the last backup?” Angela asked Alvin, her hand pointing in his direction like a knife blade. If she’d ever met anyone whose memory rivaled her husband’s, it was Alvin. She watched a crouched figure outside the entrance to the lab tape two liter plastic bottles filled with water to the hinges of the security door. The security that James and Kurt had installed was tight, state of the art even, and the door was sealed. But no seal in 100 miles would withstand the blast of a shaped charge pushing water ahead of a supersonic shock wave. It would slice through the steel door faster than the world’s most powerful cutting torch. Whomever these people were, they had known the defenses they would have to overcome. They were prepared. They had planned. They had obviously even rehearsed as was apparent in their staged and perfectly timed precision movements. And the most dangerous thing Angela and her team had for protection once that door came down were a few custom computer viruses. She’d known the risks. The success of their project was potentially worth upward of a hundred billion dollars in the first year alone, and that was on the conservative side. The long term applications of the soon to be patented technology could not even be calculated. The reason they worked out of her home instead of in some downtown lab was for the secrecy of the project, a vain hope of security by obscurity. They’d taken additional precautions which Angela belatedly realized she had characterized as “paranoid.” A commercial exothermic incendiary device much like a military grade thermite grenade perched atop each server array that would, when detonated, melt their way through the machines at over 4 thousand degrees Fahrenheit, effectively destroying everything in a completely unrecoverable fashion. They would burn 3 times hotter than molten lava and the crew would have to be careful not to look at them since the radiant energy was bright enough to blind them without a welding visor. Smoke alarms went off and the lights flickered. Then she felt herself being picked up and thrown aside, riding on the wave of a perfectly timed blast. As she flew backward from the shock of the multiple explosions blowing open her steel door she prayed even harder — she prayed for courage, for protection, for strength. As she landed and fell against the tower of computer drives, she watched the thermite spill and splatter like lava, setting the entire area on fire. Her last thought was of pain as a spray of burning powder fell on her chest. This entry was posted in 1. A Melody for James, Blog, Novels and tagged a melody for james, book sale, ebook sale, song of suspense series. Bookmark the permalink.